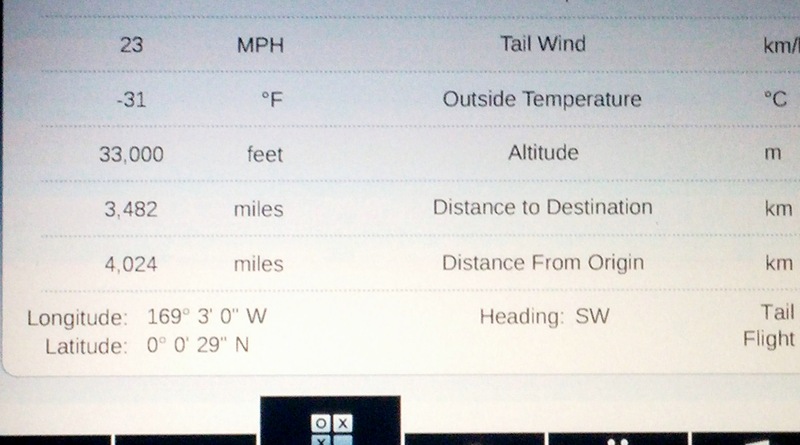 This report details my recent CLT-SYD-CLT mileage run. The goals for this run were twofold: (1) helping to achieve 2MM before January 1, and (2) testing the new GU certs. 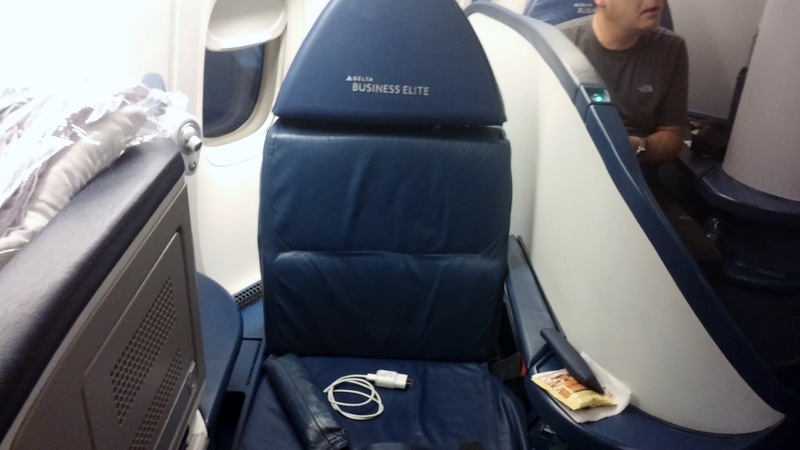 2MM gives me “lifetime” status as GM (delta Gold Medallion) and STE+ (Skyteam elite plus). 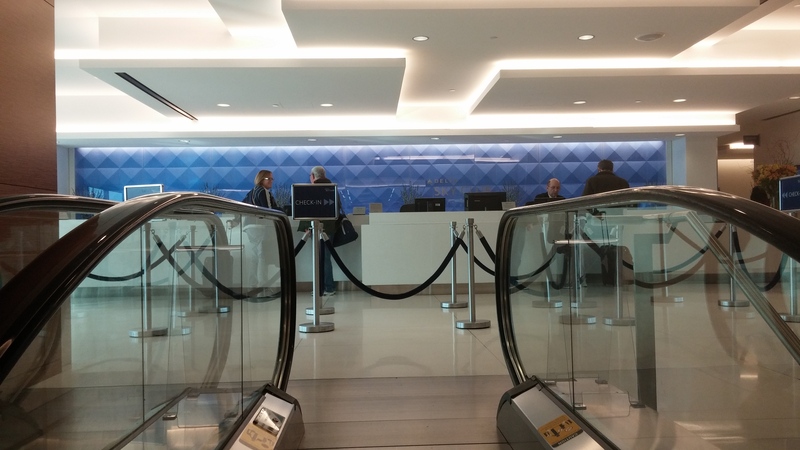 STE+ status gives me complimentary access to Skyteam lounges when travelling internationally on any Skyteam ticket. 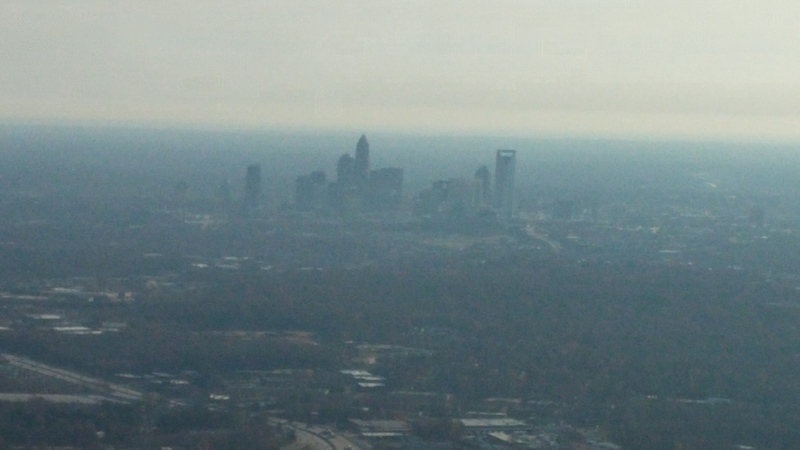 CLT is my home base. So several months ago when I saw this MR (mileage run) from CLT on Rene’s MR site, I jumped on it. There were a lot of MQMs and RDMs for just over 5 cpm and no positioning trip. Since I pay for my tickets, unlike many business fliers, and fly a lot of international flights in EC, the changes in 2015 meant reaching 2MM in 2014 would definitely be desirable for my skymiles account balance. In part, this was a MR for RDMs in spite of the conventional wisdom that that is not done anymore. I wanted to fly the outbound or return portion in EC to compare and contrast the experience with BE on the same route. I have used GUs for ORD-ATL-SEA-HKG and BKK-NRT-LAX with no problems. The GUs were confirmed on the initial call to make the reservation. For this MR, the routing was CLT-JFK-LAX-SYD and SYD-LAX-ATL-CLT. When I made the reservation, the DM line could not confirm me in BE coming or going. To ensure one flight in BE, I elected to waitlist on GUs in both directions. If one cleared, I could withdraw the other, or so I was told. Wrong. 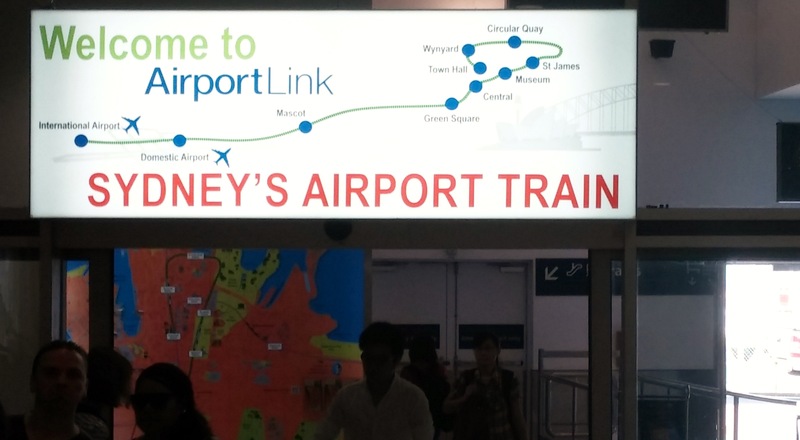 A few weeks before the flight I found that JFK-LAX and SYD-LAX had been upgraded. I called to cancel the outbound GU since the international portion had not been upgraded and I stood a chance of upgrading on JFK-LAX without a GU. The DM line then informed me that because JFK-LAX cleared, the GU could not be withdrawn even though the international portion had not cleared. They said when using a GU with one or more domestic segments, once any domestic segment clears, the GU is gone even if the international portion never clears. I wish that had been explained when I initially made the reservation. Since I could not withdraw the GU, a delta supervisor was kind enough to confirm LAX-SYD in BE. As I found out, delta reps and even some supervisors have a serious lack of understanding on how GUs work in various situations. D.dumb is not much help. The explanation of the GU process is very sketchy and leaves out the details to really understand how the process works. The website even contains a conflict in the explanation of the airport standby list between the general explanation verbage and the Ts & Cs. There had been a schedule change in the outbound flights; so the day before the trip I called to see about changing the flights to eliminate the CLT-JFK crj leg without first class. I found a CLT-ATL-JFK route that made the connection in JFK and called the DM line. The first call was a no-go, but HUCB and bingo the change was made without fees or penalties. Good fortune, or so I thought. More miles and all in first. The change had to be made by the international reissue desk. Both the DM rep and the reissue desk assured me the GUs would be applied to the new routing but that I would need to check in to activate them. Unfortunately, now that the trip had four legs, I could not check in immediately on-line. When I checked in at the airport, I still did not appear on the list. Calls to DM line and discussion with a supervisor promised that I would show up once the docs were verified in ATL and to go to a Help Desk. Good grief! I was doing all of this while getting my Australian electronic travel authorization (ETA) on-line in the CLT gate area. I was one of the last to board and was surprised when the GA handed my a first-class seat, 1D on the MD 90. Rushing on, I asked if I was on the upgrade list. He said no. He had seen my in the gate area and “took care of me.” I have done an awful lot of flying on delta the last couple of years and have gotten to know some of the GAs casually. Always be courteous to them and chat sometimes if you get a chance. On the day of departure, the GA is all powerful and can be your best friend. CLT has some great people working there, but the delta departure area, located in Terminal A, is the worst of any airport I’ve seen. The carpet looks like it is at least 20 years old, there are few power outlets, the seating is uncomfortable, and there are hardly any shops and eateries on this concourse. It cries out for a nice skyclub like at RDU. I am surprised AA is still forced to use this terminal instead of being switched to the modern terminals US uses. 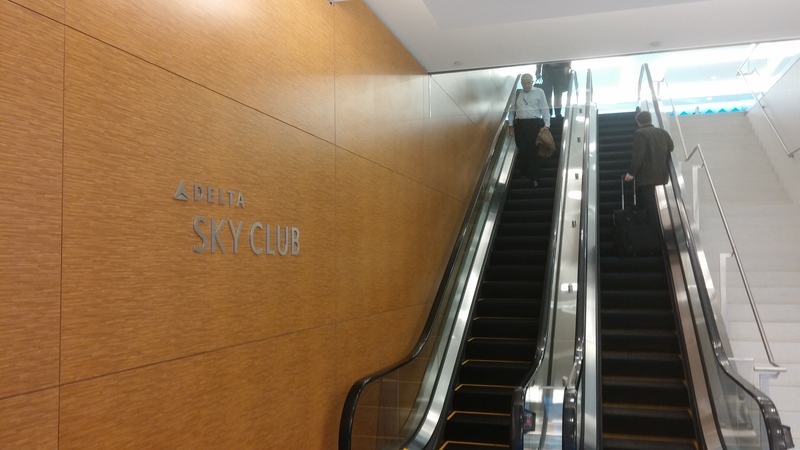 After the short 35-minute flight to ATL, I went to the skyclub on the E concourse. I wanted to use the shower facilities there, which are very nice although the water temp is sometimes barely lukewarm. I have never experienced that in the F club showers, but I intended to use the E club this time since it was closer to my A34 departure gate and I had a little less than two hours in ATL. 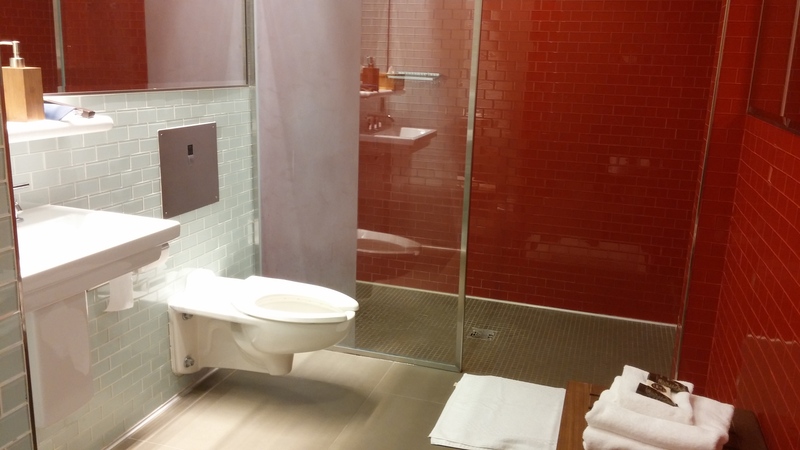 As it turned out, I never got to use the shower because I spent the majority of the time dealing with the help desk and DM supervisors regarding the upgrade from ATL-JFK. First, the help desk had no idea what I was talking about when I tried to explain my issue. Then they got on their computers and also made a call. There was general confusion about what happened and what to do about it. Finally, the help desk said I was not on the upgrade list because some rep had coded my upgrade as a mileage upgrade rather than a GU. On the phone, a DM supervisor was giving a different story. But neither said the upgrade had anything to do with verifying docs as I was originally told. By the time all of that was done and I was added to the upgrade list, there was no time for a shower and shave or to sit down for a bite to eat. Getting to the gate in ATL, I saw I was number three on the upgrade list. I was surprised to be this low and called again to inquire. I was told there were five DMs on this mid-day flight using GUs or RUs and I had the lowest class of service. How was that possible? Five DMs who had not cleared with their certificates or through the complementary upgrade process by the day of departure! It seemed implausible. Apparently, DMs are penalized on domestic flights for using a GU or RU certificate if it does not clear in advance since the complementary upgrades their status entitles them to have been given away. The only good thing about this fiasco was the JFK-LAX-SYD upgrades seemed to be unaffected. Even though I was in coach, the flight to JFK was fine. 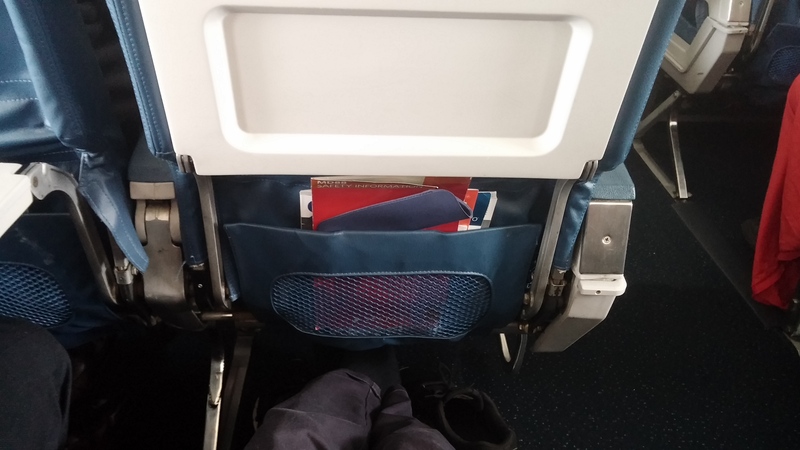 I had 25C on the MD 88, which is an exit row aisle. This seat, while pretty far back, has more legroom than in first class. When I knew I would not get upgraded, I bought some fast food near the gate and brought it on board and consumed it before departure. I hope it was not too smelly. 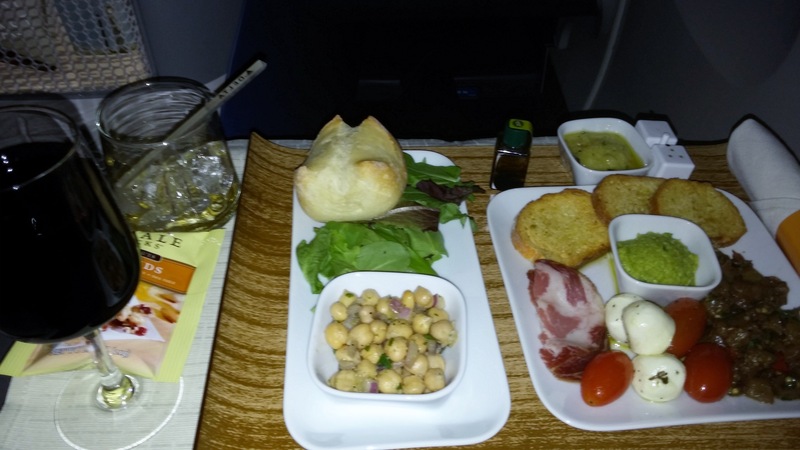 🙂 It is lucky that I provided my own food because the FAs began service at the front and back of economy and worked their way to the middle. My row was the last to be served. They got to us just after the captain announced we were on approach to JFK. If I had waited to purchase food from the Eats menu, I would have had little time to finish. On this 760-mile, 2- and -1/2 hour flight, the FAs didn’t even complete one service in coach before final approach. 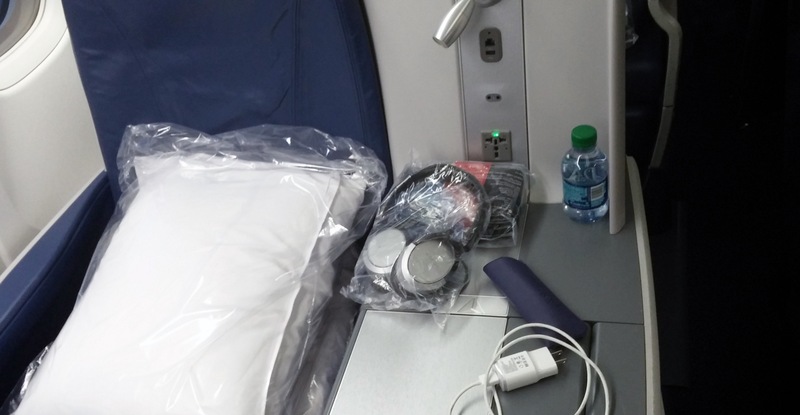 How will the new Comfort+ service affect the overall service in coach? Maybe foregoing collecting money for snacks and drinks from those in C+ will help. Or they can always just ignore those relegated to Basic Economy. We parked at T4 at JFK which eliminated the annoying outdoor walk and bus transfer from the A terminal that I would have had if I arrived from CLT. With almost three hours to kill, I went straight to the T4 skyclub. This club is panned almost unanimously on various lounge-review websites. I, however, think it compares favorably to many business-class international lounges I’ve visited. In terms of size, it is second only to the KLM lounge 52 at AMS. The shower facilities are second to none, although the toilets aren’t as fancy as the high-tech stools they have in many Asian lounges. There is good wifi, and an ample supply of power outlets, newspapers and comfortable seating. The staff is helpful and knowledgeable. Plus there is a skydeck! 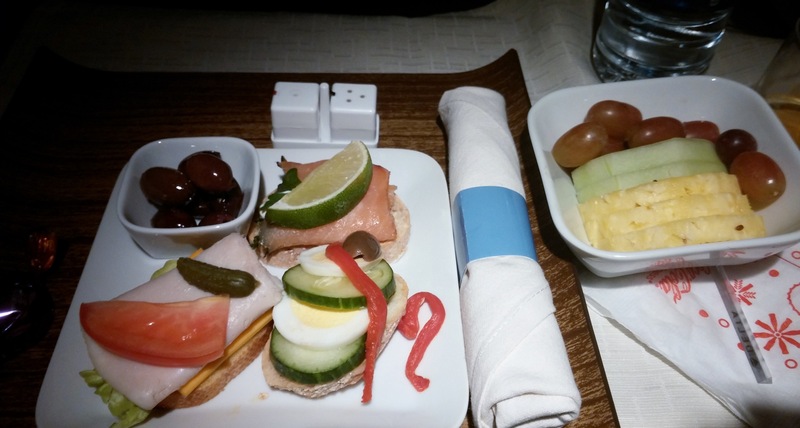 On the negative side, the T4 club can’t match most international business-class lounges in terms of the quantity and quality of complementary food and beverages. 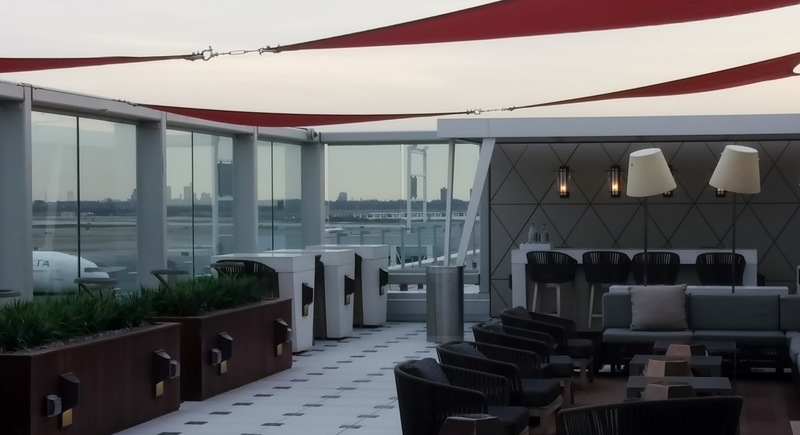 Delta would argue the Luxury Bar and café are available. Of course they require big bucks. On this trip I freshened up with a tooth brush and razor delta provided and took a shower. 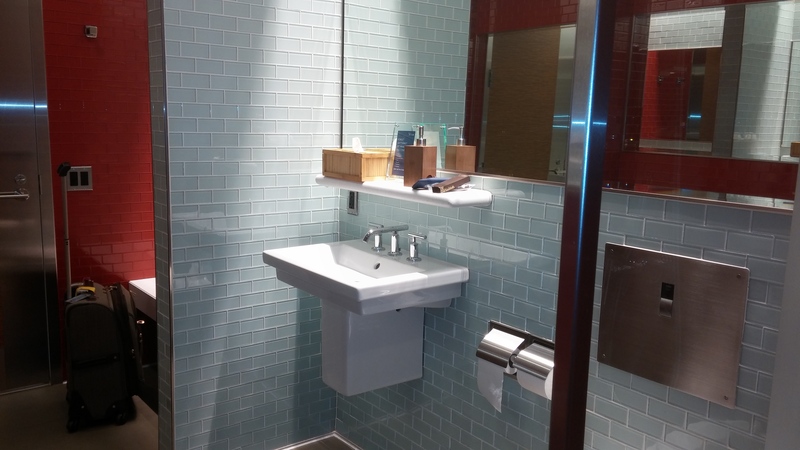 Especially when flying coach (and even in BE), a shower and shave at the airport before a long international flight helps me relax on the flight and feel fresher on arrival. After the skyclub, I stopped at Travelex to pickup Australian dollars. I changed more money than I needed to get a better rate. Travelex will not charge a fee for converting back to dollars if you keep the receipt. Flight 417 to LAX began boarding exactly 40 minutes before departure as promised. Well sort of. 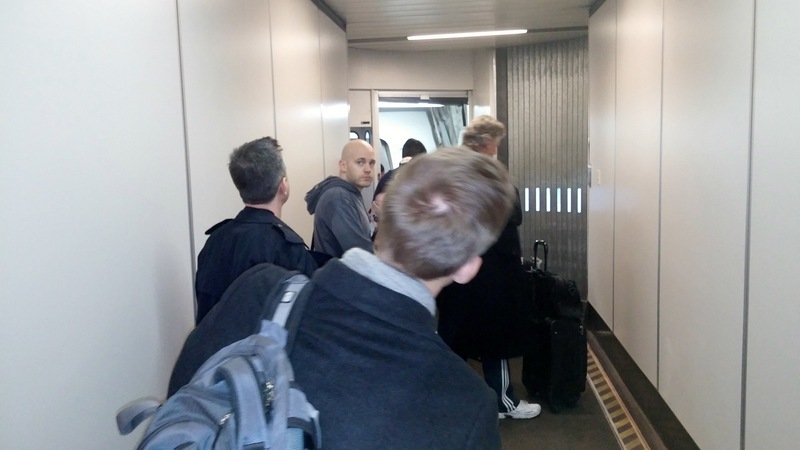 When we got to the plane, we were directed to wait in the jetway for a few minutes. Quite a back up developed as apparently no one informed the GAs we couldn’t get on the plane yet. 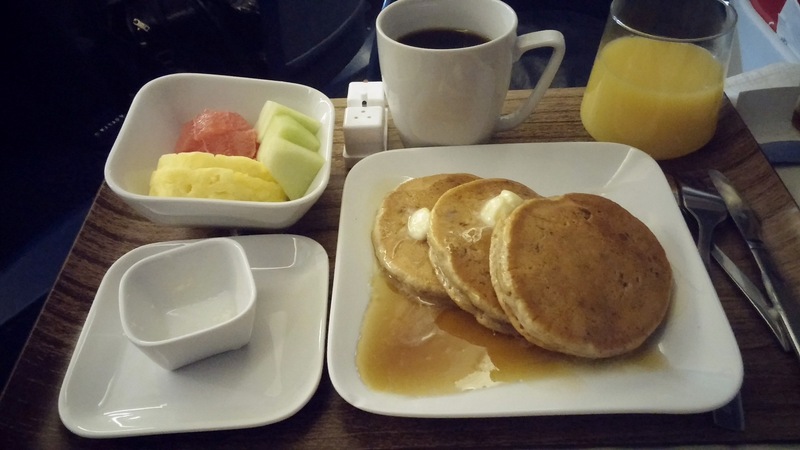 I had flown JFK-LAX about a year ago in BE on a 757-200 and wanted to see how the experience on a 767-300ER(G) compared. That 757 flight was definitely nothing to write home about. This flight, though, was a different. The experience was quite similar to international BE. 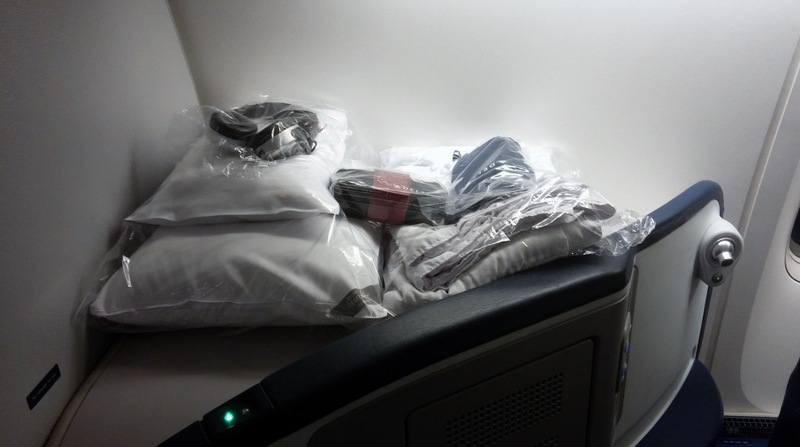 Each seat was stocked with pillows, Westin comforter, headset, menu, and amenity kit. Everything you would get in international BE except slippers. 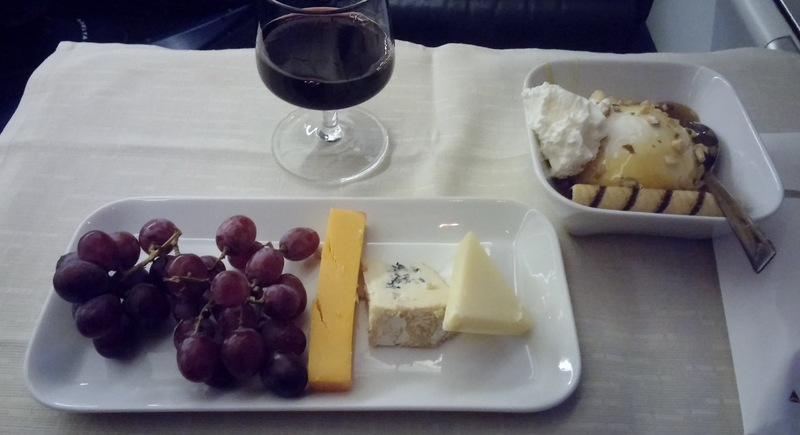 The flight started with a pre-departure glass of champagne or other drink of choice and the FAs took my order for dinner. 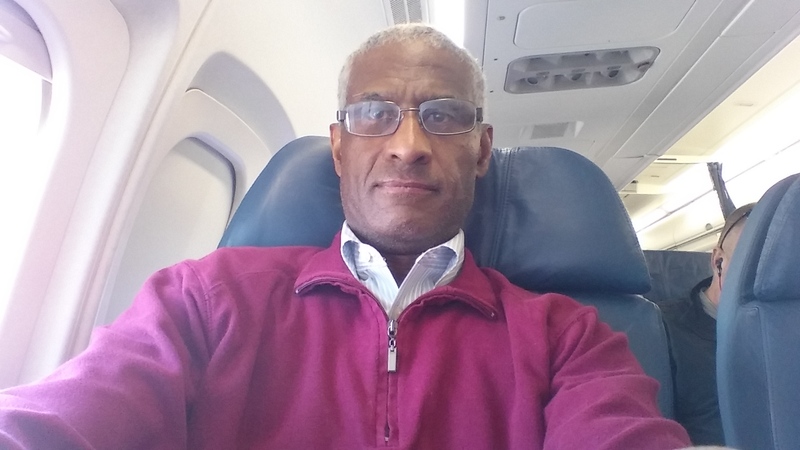 I was seated in 5D, which like all of the odd-numbered, outside seats is situated next to the window with an ample, flat working or storage surface between the seat and the aisle. I find these are ideal for a solo traveler. The side-by-side seats in the middle are best for people travelling together. The outside, even-numbered seats are right next to the aisle and feel sort of exposed. The lie-flat, BE seats are very comfortable in the erect or semi-reclined positions. For me, they are less comfortable fully flat because the seat squeezes my feet into a very small space beneath the seat in front. 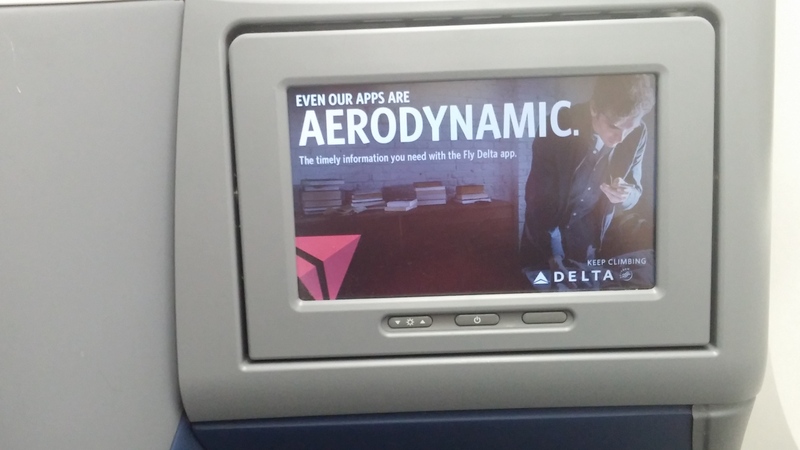 The AV on this aircraft provides a large built in screen, which is nice because it does not require stowing or unstowing. You can watch a movie gate to gate if they leave the system is on, and they did on this flight. 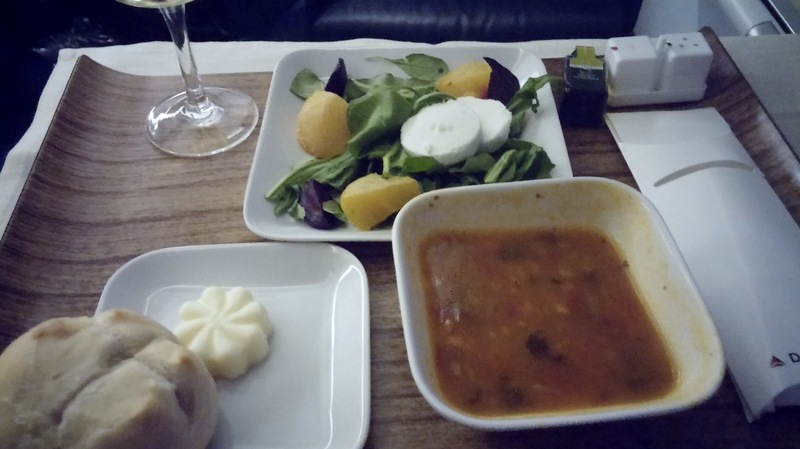 Once we leveled off at our cruise altitude, the FAs began the dinner service. After the hassles of the day I was sorely in need of a Woodford Reserve on the rocks before exploring the wine list. And I was pretty hungry not having eaten much all day. The first course was huge. It was an antipasto misto consisting of marinated bocconcini and cherry tomatoes, coppa, eggplant caponata, asparagus and spring pea spread along with crostini with fennel spice. There was also a marinated chickpea salad with greens and parmesan dip and warm bread. My entrée was cocoa crusted pork tenderloin with rhubarb mostarda, onion chard and fingerling potatoes. It was also very good and very filling. Of course I saved room for desert and enjoyed an ice cream sundae, cheese and fruit. After dinner it was time to relax with a movie. I always enjoy the first flight each month in a plane equipped with AVOD to see what new movies have been added. This flight was scheduled for 6 and 1/2 hours; so I had plenty of time to check out a couple of the new offerings as well as take a short nap. During the flight a passenger in BE became ill and we were advised that upon landing all passengers would have to remain seated until paramedics removed her. This seems to be happening with growing frequency. With this delay plus requiring a tow in to the tight gate area, I had only about 40 minutes before boarding would began for the SYD flight. I had planned to spend the layover at the KE lounge at Tom Bradley International Terminal (TBT). This lounge is far superior to the stark, dreary LAX skyclub in every way. BE passengers or STE+ members in coach departing on a same day skyteam international flight can use it. Upon deplaning I was surprised to be greeted in the jetway by a delta employee with a sign with my name on it. She was from delta global services and was there to ensure I made my the connecting flight. She even said she had a car standing by. Cool. A first for me. A very nice touch, but unnecessary given that both flights were at Terminal 5 and I had 40 minutes before the next flight boarded. I should have asked her for a Porsche ride to TBT (Tom Bradley terminal) to go to the KE lounge. With TSA-Pre and a ride there, it was feasible. Flight 417, a 777-200ER tail number 7102, boarded and departed on time without incident. I had selected seat 11D for this flight. This is now my favorite seat on the 777. 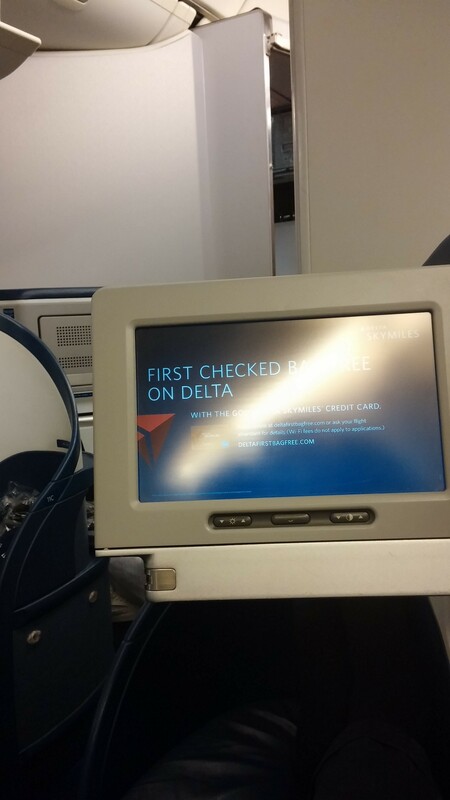 Although I have flown BE on 777s many times the first time I had seat 11D was just a few weeks ago ATL-JNB. That is delta’s longest flight and one on the longest direct flights (don’t say non-stop) if not the longest in the world currently. It is about 1,000 miles longer than LAX-SYD. Going to JNB I was in EC but when they scanned my boarding pass as I boarded in ATL, the machine made that sound that gets FFs salivating and spit out a new BE boarding pass for 11D. Woof! Seat 11D is in the rear section of BE between the mid galley and economy. 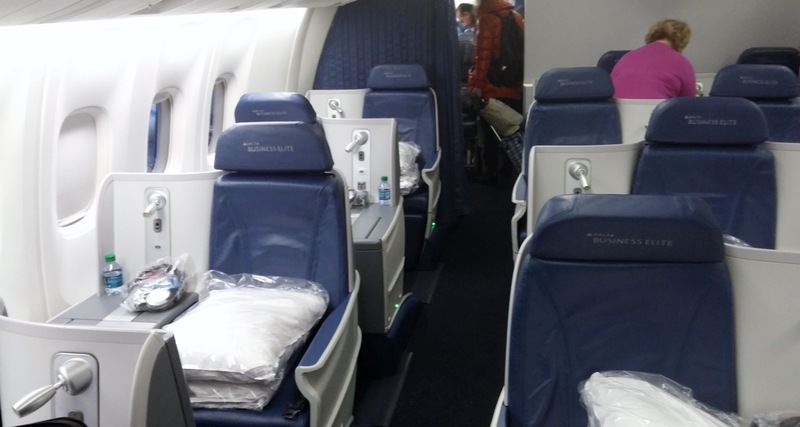 Delta removed some BE seats on the 777, and now there are only three rows in this section. It seems more private and peaceful than the forward BE section. There are fewer people walking up and down the aisle for one thing. 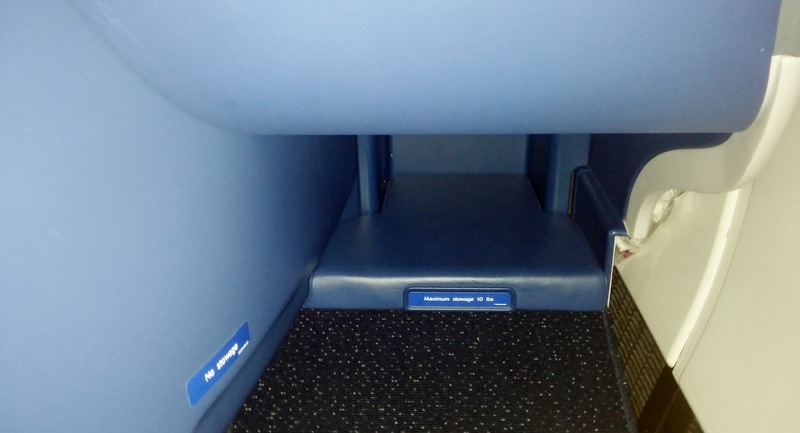 There is no seat in front of 11D so the area that would be occupied by a seat is converted to a flat shelf. This seat is the only one I know of in BE that has place to put all the blankets, pillows and other stuff they give you or you carry on and still be accessible without getting up. 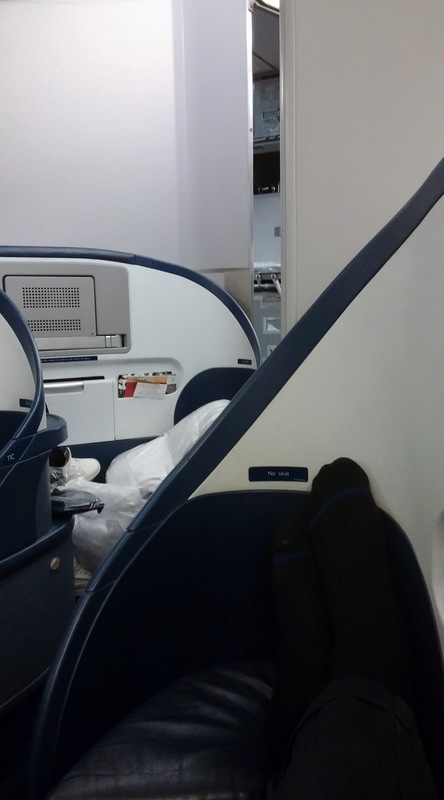 The bathroom, the largest on the 777, is in front of this seat, but because of the way the seat is angled and its distance from the door, you can’t see people opening or closing the door. The view of the mid galley is also blocked. A negative for this seat is the window. You must recline to see it, and even then the view is taken up almost entirely by the right engine and wing. Pre-departure champagne and glazed almonds were offered. Dinner was a full five-course affair with five entrée choices. 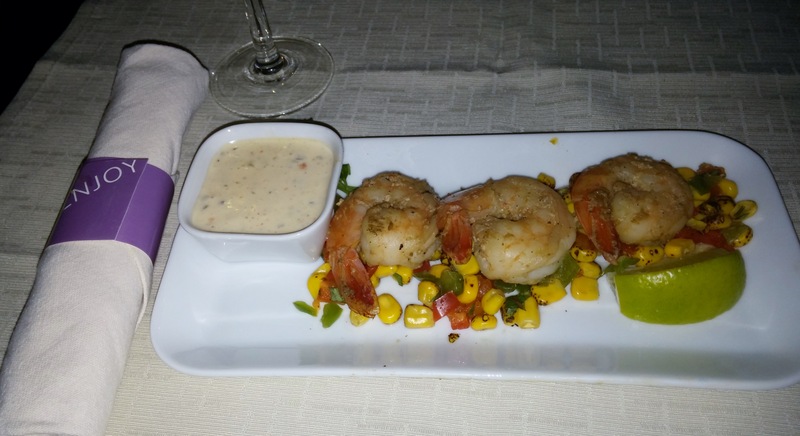 The appetizer was grilled shrimp with corn salsa. It was followed by beet and goat cheese salad and vegetable soup. 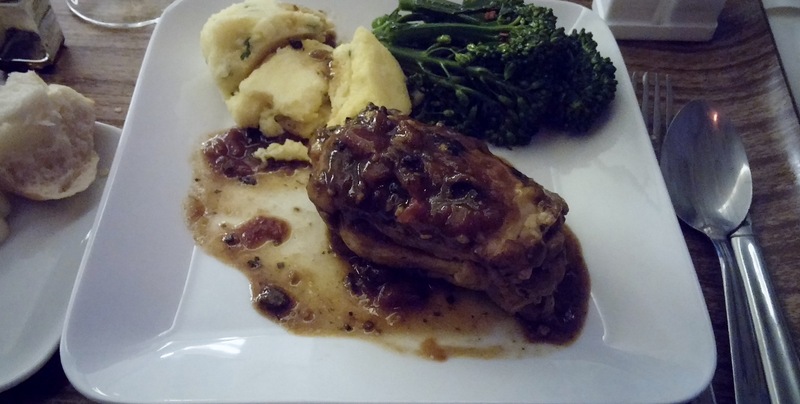 For the entrée, I picked chicken cacciatore with broccoli and parmesan polenta. 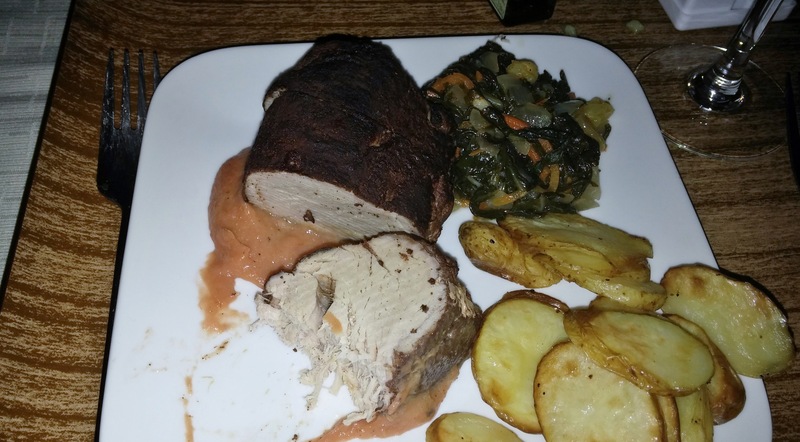 The chicken was a bone-in, skinless chicken thigh. It was all quite good. Desert was the now-familiar sundae with cheese and fruit. I then took a nap for about four hours and woke up with about two hours until landing. I filled out the Australian arrival card, which is a good deal more work than the US arrival form plus they require an Ebola form that asks you to disclose if you have been to any of the listed countries in the last 21 days. The list was much more expansive the countries suffering from the Ebola outbreak. I noted that I had been to south Africa and wondered if this would raise any issues at customs. I also wondered if the Australian ETA had successfully attached to my passport. Just in case I had the e-mail ETA confirmation pulled up on my phone and ready to show if there was any problem. The FAs handed out coupons for BE passengers to use the Express lane for customs. 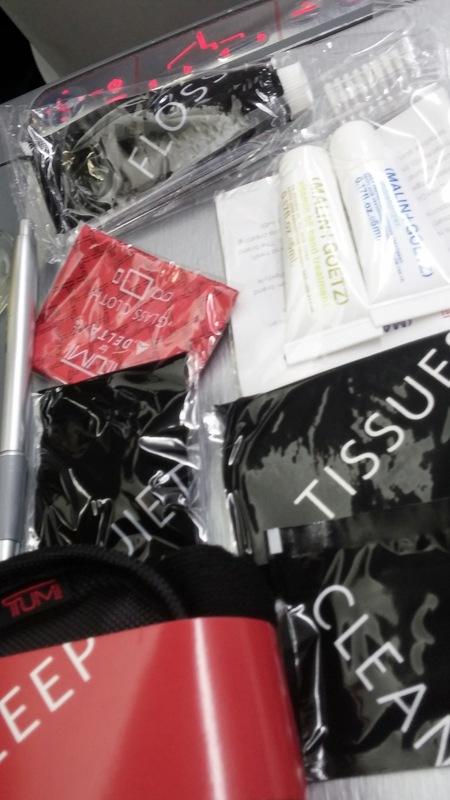 As a DM STE+, I have been able to request these from FAs even when flying in coach if they are not offered. The breakfast was served about 90 minutes out from SYD. In coach I always have some type of egg dish. I took this opportunity to try banana nut pancakes with fruit, coffee and juice. Then it was time to pack up and prepare for landing. 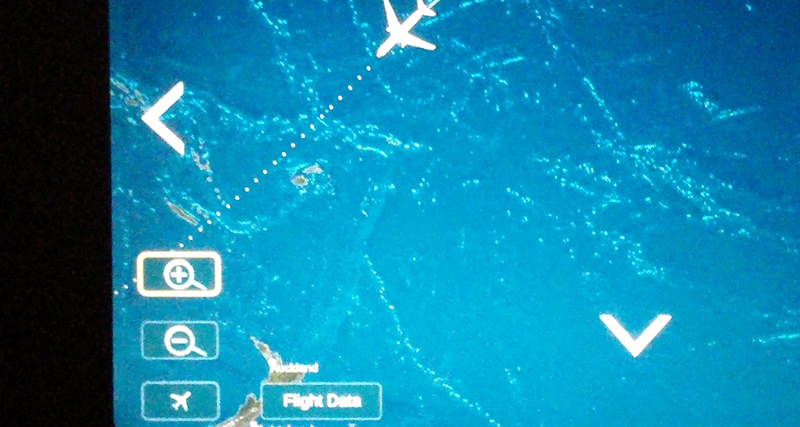 The approach to Kingsford-Smith airport was pretty much straight in from the ocean. That was fine because I couldn’t see much out of the window anyway. After landing, the walk to customs took only about five minutes. The interesting thing about it was that passengers had to wind their way through duty-free stores before customs. That was unique in my experience. Plus at Kingsford-Smith the walkway actually goes through the stores and passengers are weaving their way between retail displays. On the way to customs, there are customs kiosks similar to the machines in arrival areas at many US airports. The machines said they were fro passengers from the UK, NZ, US or Australia. Unsure of their purpose, I bypassed them and tried my luck in the express lane. The wait was short, and the customs officer said that the kiosks were indeed similar to the machines in US customs and would save time over even the Express lane. 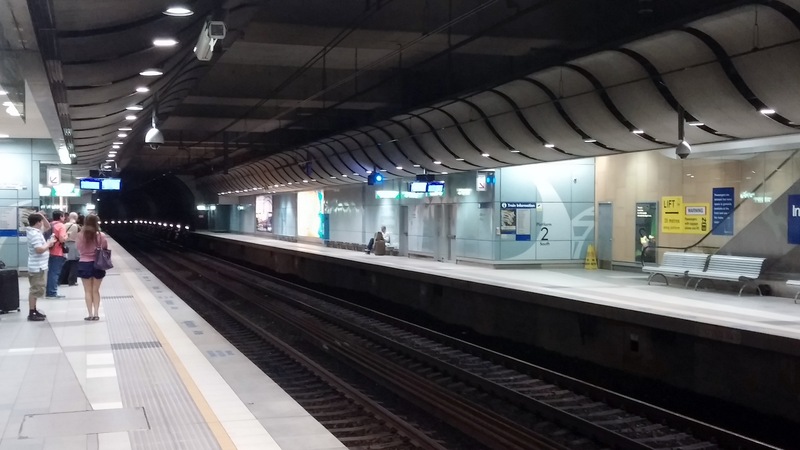 After clearing customs, I had a short walk to the north end of the terminal to catch the RailLink. 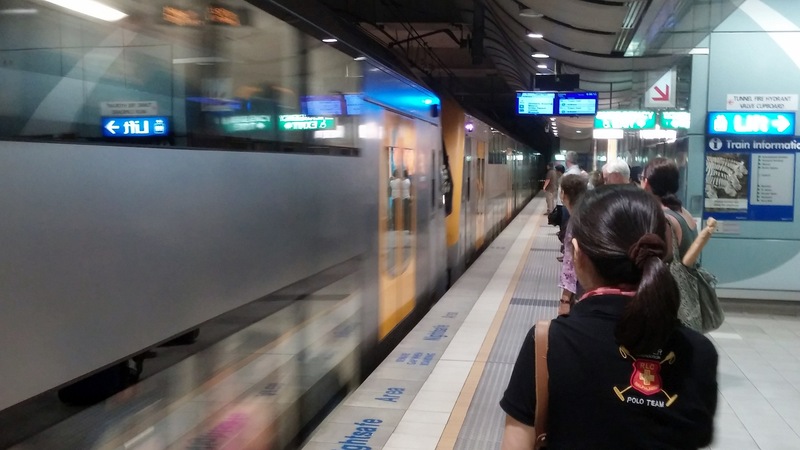 This is the quickest and cheapest way to get to central Sydney. 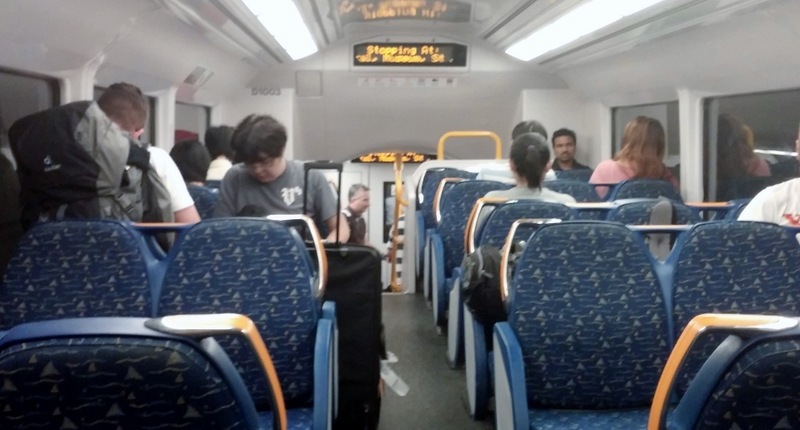 The train to Town Hall station costs 17AUD and takes about 20 minutes. It is a short walk from there to the Four Points Darling Harbor.